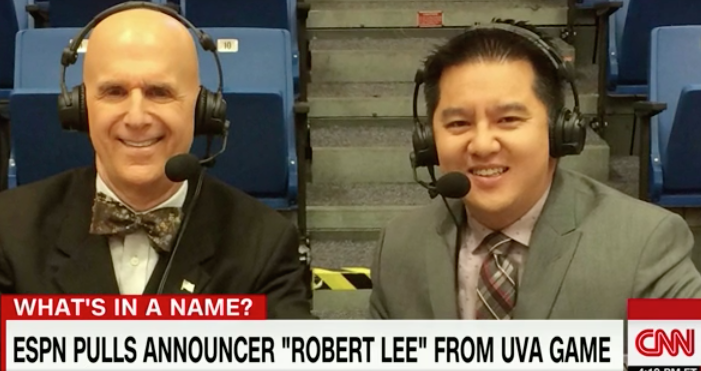 Clay Travis, a sports personality at FOX Sports and a rival network of ABC/ESPN, reported yesterday that ESPN sent around an internal memo where they reassigned a sports play-by-play broadcaster named Robert Lee to another college football game broadcast. Lee was originally scheduled to broadcast a college football game between the University of Virginia and William & Mary. Why? 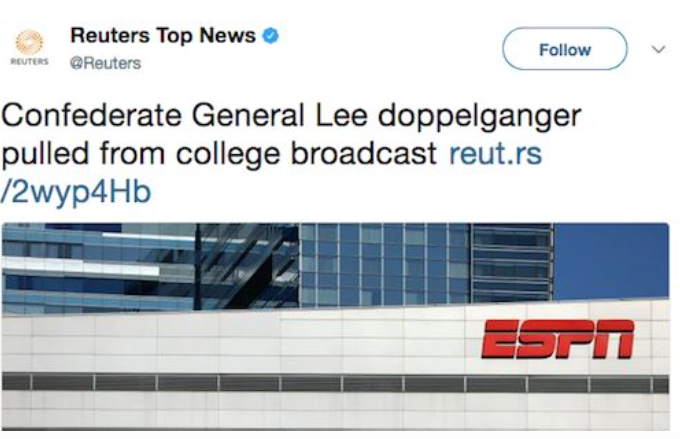 ESPN was allegedly concerned over his name being too close to Confederate General Robert E. Lee, in light of violent protests in Charlottesville, Virginia (home of the University of Virginia) over the proposed removal of a statue of the Confederate general from a local park. The news created an uproar as the media and social media users mocked ESPN’s decision. In it, Skipper blamed FOX Sports (although not by name) for stirring up something that was not controversial and claimed Lee expressed concerns over his name and had preferred to be moved to a college football game closer to his home and family. Why did it take almost an entire day to issue an internal rebuttal to a FOX Sports report?